Masonic History Project – Temple Lodge, No.33, Duncan, B.C. 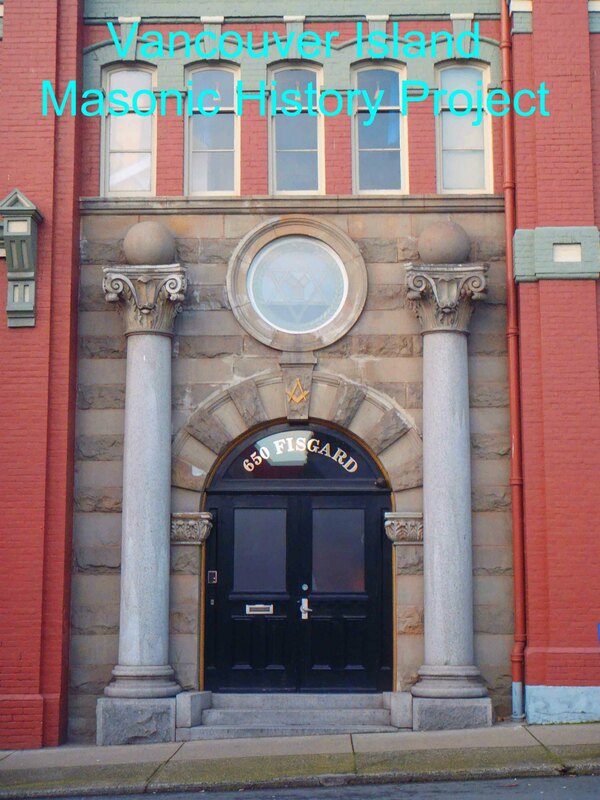 The Vancouver Island Masonic History Project is an ongoing effort to document the rich heritage left by Freemasons and Freemasonry on Vancouver Island. It is maintained as part of the Temple Lodge, No.33 website. Welcome to the Vancouver Island Masonic History Project, an ongoing voluntary effort by a dedicated group of Brethren, maintained online by Temple Lodge, No. 33 in Duncan, B.C., to document the rich heritage and legacy left by Vancouver Island’s Freemasons and Masonic Lodges. Since the Island’s first Masonic Lodge was chartered in Victoria, B.C. in 1858, Freemasons have played an active role in Vancouver Island communities. Freemasons have been involved in politics, public service, law, commerce, charitable organizations as well as a wide and varied range of other productive activities. Given Freemasonry’s use of building and construction as a foundation for its allegorical lessons, it is perhaps quite fitting that many of Vancouver Island’s leading pioneering architects and builders were Freemasons. Examples of their work are still prominent in every major Vancouver Island community. We will be including links to help explore the architectural heritage left by local Freemasons. Many of the Vancouver Island buildings built by Freemasons were also built for other Freemasons as residential or commercial buildings. We will also be including links to those buildings. For historians, geneologists and other researchers, we are gradually publishing the historic membership lists of Vancouver Island Masonic Lodges. In keeping with current privacy legislation, our online Masonic membership lists are at least 50 years old. We are gradually linking the names on the membership lists to individual pages for each member, containing biographical details, grave site location (if applicable) and other information. This is, however, in early stages. Please note that the Vancouver Island Masonic History Project is run by volunteers who are regularly uncovering new material. Just because something isn’t yet on our site doesn’t mean it’s not an item of interest. We are always on the lookout for new material. If you have something, or know something, that you think we’d be interested in, please don’t hesitate to contact us to let us know. There is a comment form at the bottom of this page. Would you like to leave a comment of question about anything on this page?